Now that spring has arrived, the spring sport seasons are coming into full swing. The last place that many athletes want to be with the start of their spring season is on the sidelines due to an injury. So, to help prevent a spring sports injury from happening, it’s important to take care of your body. One great way to do so is to take part in natural medical treatments focused on strengthening your body and its core. 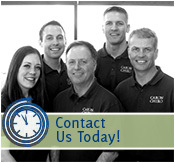 At Caron Chiropractic Clinic, P.A., we specialize in spring sports injury prevention. All you need to do is commit to taking the next step towards a healthy lifestyle this spring season, and our experienced medical professionals will handle the rest. 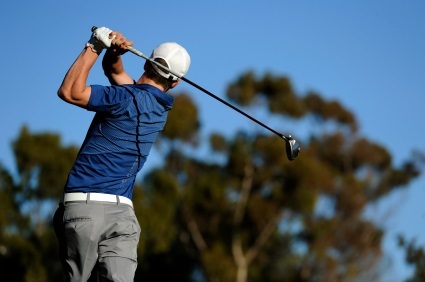 Those minor injuries that you feel like you can play through should not be ignored. In fact, many injuries start as very minor injuries, but over time get much worse. So, rather than trying to play through the minor injury, team up with our dedicated medical staff at Caron Chiropractic Clinic, P.A., and let us work to get your body back to 100% quickly. Taking care of any minor injuries will surely prevent those larger sports injuries from occurring during your spring season and beyond. When it comes to spring sports injury prevention, introducing our patients to chiropractic care is always a constant. While each treatment plan that we develop is personalized, most of our plans are centered around chiropractic care. Not only does chiropractic care help with any nagging injury that you may be dealing with, but this holistic approach is a great way to minimize or prevent future injuries from occurring this spring. So, no matter if you are a runner, tennis player, soccer player, football player, golfer, etc., chiropractic care is a natural method that will help strengthen your body, while also speeding up the recovery process as well. If you are looking for ways to prevent a spring sports injury from occurring, a partnership with our chiropractic team at Caron Chiropractic Clinic, P.A., is a great place to start. Through our customized treatment plan, our dedicated staff is here to help reduce the likelihood that you’ll get injured during the spring season. To learn more about how we can help with spring sports injury prevention, give us a call today at (651) 255-9999 or email info@caronchiropractic.com. This entry was posted	on Tuesday, March 19th, 2019 at 1:25 pm	and is filed under Chiropractic Treatments, Sports Injury. You can follow any responses to this entry through the RSS 2.0 feed. You can leave a response, or trackback from your own site.